When you’re looking to start on a new home improvement project, the best place to get expert advice, all the supplies you’ll need, and a welcoming atmosphere, is a local hardware store. These stores are staples of the community. Thankfully for New Yorkers, the Empire State is home to plenty of these classic retailers. 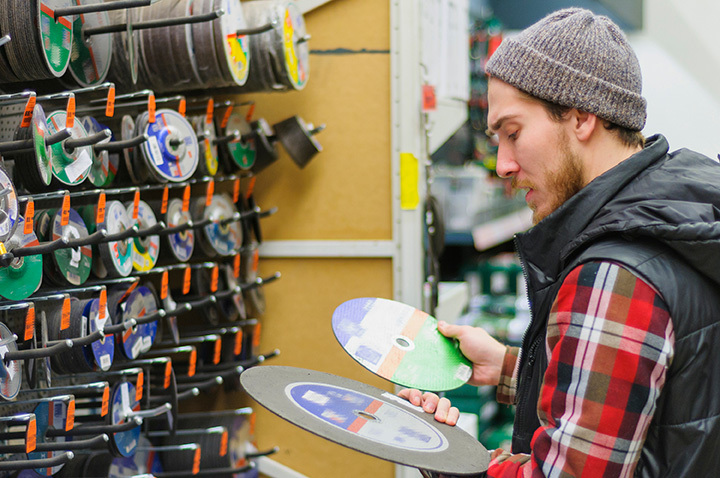 Here are the 10 best hardware stores in the state. Open 24 hours a day, this four-story midtown hardware store is dedicated to customers. You can find nearly part you need—whether it’s hardware, tools, lumber, paint, etc.—and the knowledgeable staff will help you every step of the way. If you're looking for an old-fashioned small-town hardware store that induces nostalgia, Goldberg Hardware in Tarrytown is just the place. The store’s shelves are stuffed with merchandise, and the helpful staff will help you locate anything you need. For more than 20 years, this East Village hardware store has been a destination for those looking to do a little home and garden work in the neighborhood. In addition to a large selection of tools and housewares, Saifee has a garden center with everything you need to make yours thrive. Since 1936, this locally owned shop has stocked everything from hardware to hot water heaters. With a slogan like “we have it if we can find it,” a hardware-shopping adventure is in store. Since 1884, this West Village hardware store has been proudly owned and operated by the Garber family. Today, it’s still a reliable neighborhood source of all sorts of equipment, tools, paint, and supplies to aid in home improvement. Since 1900, Old Forge Hardware has been “the Adirondacks’ most general store,” offering everything from fishing and camping gear to gourmet food and, of course, a diverse selection of hardware, making it a local favorite. This upscale New York City fixtures supplier is a destination for gorgeous custom hardware for the “doors, windows, and fine furniture” of the most exacting clients. The Prince Street showroom is open by appointment only. Opened in 2011 by the Tanzi family—longtime Kings Park residents who previously ran a lumberyard in the area—Kings Park Hardware offers a large inventory for Long Islanders who want to support local hardware stores. Small, local hardware store chain Adirondack Hardware sells a variety of tools, appliances, and equipment for homeowners, including furnaces, paint, car parts, and lawn and garden gear. With aisles packed with every imaginable part, free popcorn, Benjamin Moore paint, and an adorable Labrador retriever, it’s no wonder Mayer Paint & Hardware is such a beloved hardware store in Rochester.